Massive mammals were a much more common sight 10,000 years ago, with colossal beavers and brobdingnagian armadillos. 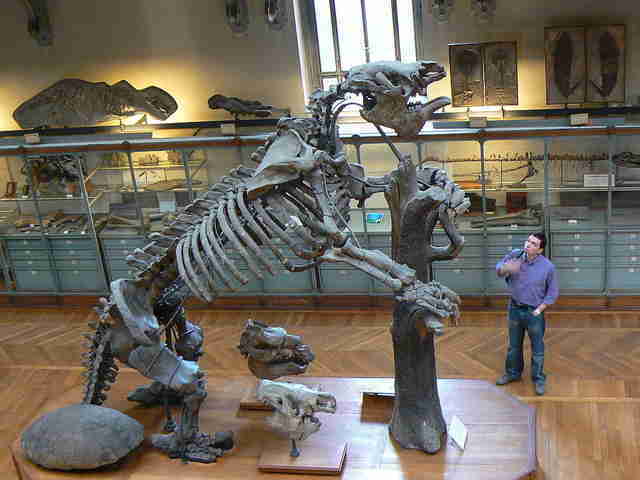 And then, of course, there were the giant ground sloths, like the elephantine Megatherium americanum, which lumbered on to the scales at about 8,800 pounds. 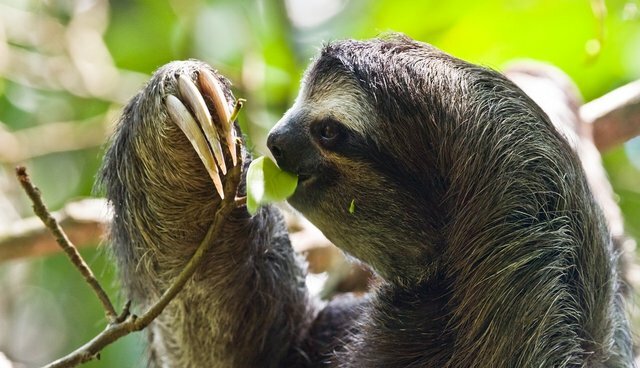 Sloths living today, like the brown-throated three-toed sloth, max out at about 13 pounds. 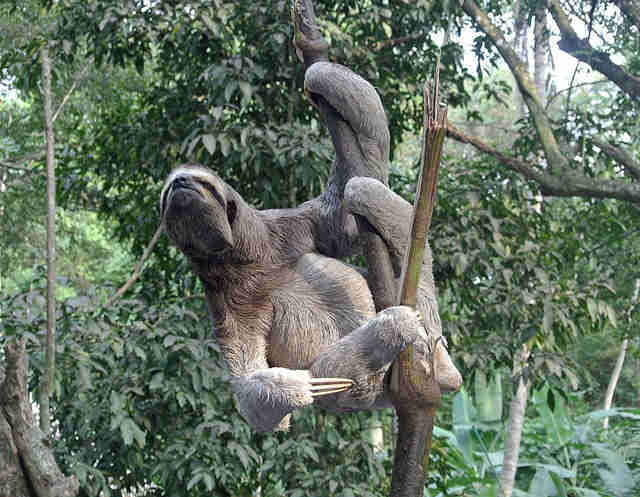 Goswami and his colleagues calculated how sloth bodies would have changed over time. They found that every million years, members within some sloth family trees increased by more than 200 pounds. That's one of the quickest rates of morphological change in the history of mammalian evolution. The key was looking back at old bones. "If we ignore the fossil record and limit our studies to living sloths, as previous studies have done, there's a good chance that we'll miss out on the real story and maybe underestimate the extraordinarily complex evolution that produced the species that inhabit our world," Goswami says. Though the ancient sloth lineages quickly grew into giants, today's sloths are having a tough time keeping up with the pace of their habitat destruction. 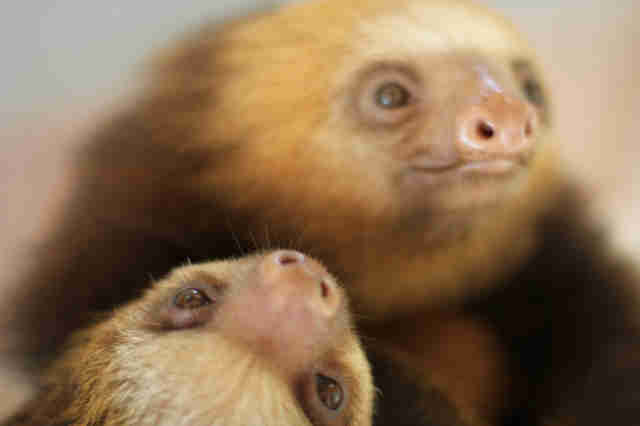 And the sloths currently hanging out in Central and South America can't rely on size. Instead, many sloth species - like the threatened maned three-toed sloth - need our help.